I can’t say what set my autistic six-year-old off that particular day. It could have been a missing Lego brick or a torn sticker – anything, really. I sprang into action, clearing the room of any objects that could be thrown and broken. Our young English bulldog, Rosey, froze on the couch. The tone of my son’s voice was a warning. I hovered nearby, waiting to see what my son would do next. Though he adores ‘Little Sister,’ she makes an easy target when he’s melting down. He crawled onto the sofa, and rested his head against Rosey’s flank. Relaxing, she lowered her head. Her chest rose and fell. Lulled by her rhythmic breath, my son closed his eyes. Within minutes, both boy and dog were asleep. Getting a dog isn’t a decision any parent should take lightly, especially when your child has special needs. Some days I wondered if we were crazy. After all, our plate was already heaving, and dogs are a lot of work. Eternal toddlers, some say. And I was under no illusions as to who would shoulder this massive new responsibility. It wouldn’t be my husband, who works full time, or my son who was at school all day. The daily walks, the feeding, the playing, the training. Not to mention the trademark bulldog stubbornness and incessant chewing. R.I.P. to my gardening Crocs, leather magazine racks and even a garden hose! But Rosey is worth it. She’s a ‘bestie’ on four legs. She sleeps with my son at night, soothing his fears of the encroaching dark. She never judges or confuses him with language he won’t understand. When he gets home, no matter what’s happened during the day, she greets him with kisses and tail wags. Her love is unconditional, her influence calming. At first he would shriek whenever she licked him. Now he is tuning into her signals, opening the door when she needs to be let outside, distinguishing when she wants to play versus when she wants to rest. But it’s not only trained service dogs that have a therapeutic effect on children with special needs. A study from the University of Missouri found that 94 percent of autistic children benefited from owning a dog or other small pet, reporting gains in responsibility, assertiveness and social skills. 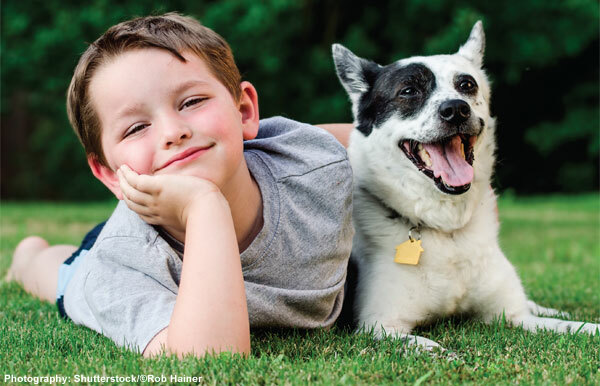 Gretchen Carlisle, research fellow at the Research Center for Human-Animal Interaction (ReCHAI) in the MU College of Veterinary Medicine, described pets as “social lubricants” that help kids with autism engage more with the people around them. And clinicians are catching on, with some U.S. therapists doling out “prescriptions” whereby dogs can be hired to accompany children into anxiety-provoking situations, such as medical appointments and haircuts. The return isn’t without a considerable investment in terms of time and cost. Families must consider their child’s individual sensitivities as well as their family’s dynamics. For instance, kids who are averse to noise wouldn’t do well with a yappy breed of dog, while those with motor challenges may not want an extremely active dog. 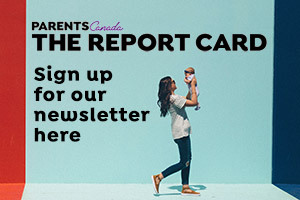 Originally published in ParentsCanada magazine, May 2015. Despite being oh-so-cute, some animals carry dangerous germs.